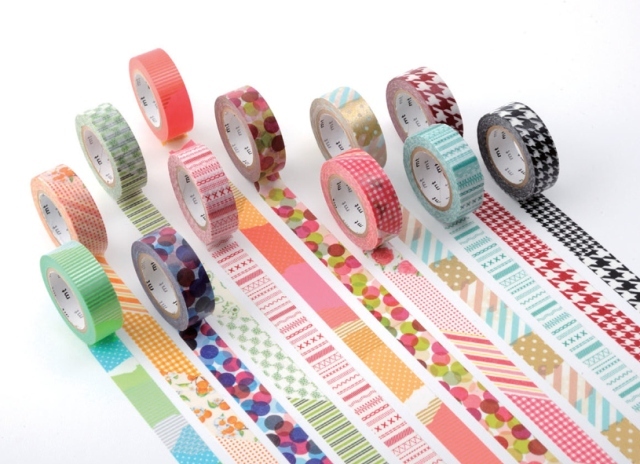 Washi tape has to be the best DIY material around and we have the Japanese to thank for it. The trend for using washi tape to decorate and upgrade your basic household needs has been around for a few years and it is here to stay. For those who are unfamiliar with washi tape, it’s like regular sticky tape or sellotape but it’s made of a paper-like material and comes in a wide range of colours and patterns (which we at Von Haus love!). The paper can be made from bamboo, hemp or trees native to Japan such as mulberry, mitsumata shrub or gampi tree. 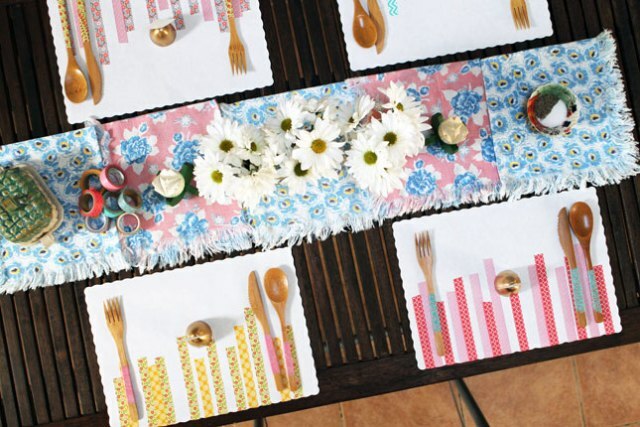 Are you stuck for ideas on how to make your next brunch with the girls extra special? 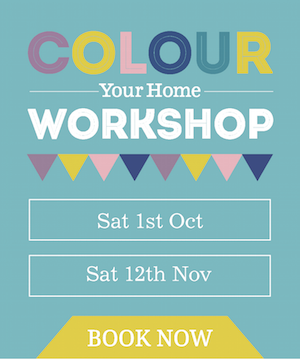 Put the credit card away – all you need is rolls of washi tape and your girlfriends will soon be asking where you get your homewares from! If investing in beautiful artwork is out of your budget-range, why not be inspired instead and make your own wall art from washi tape? It doesn’t have to be complicated – simple designs can have maximum effect on your rooms. The wall art in the above photo can easily be replicated with a ruler and a few straight lines. 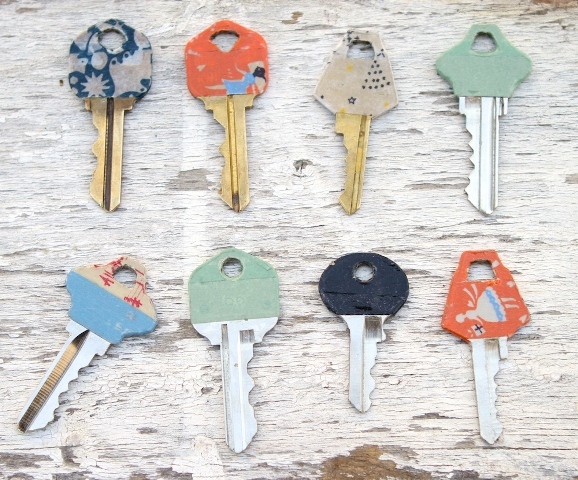 Like the rest of us, you’ll have a million keys – the key to your house, the front door, the security gate, your PO box… the list goes on. Instead of spending minutes trying each key in each lock why not decorate each key in a different colour or patterned washi tape? And if the tape gets damaged all you have to do is peel it off and add more tape! If you’re in a rental and aren’t allowed to put anything up on the walls, never fear! 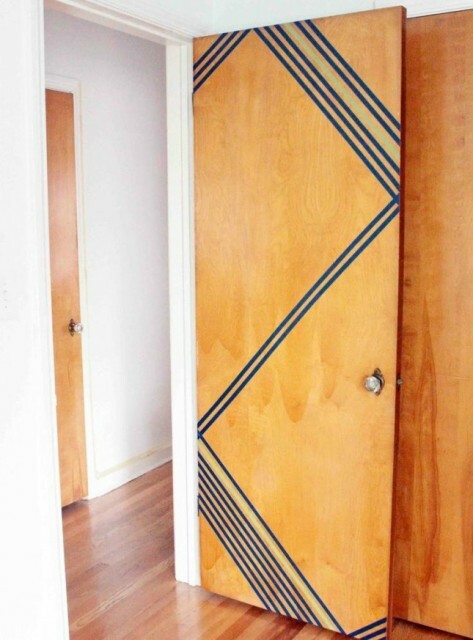 Why not decorate your doors with washi tape? Be as creative as you want and come up with crazy designs and patterns! 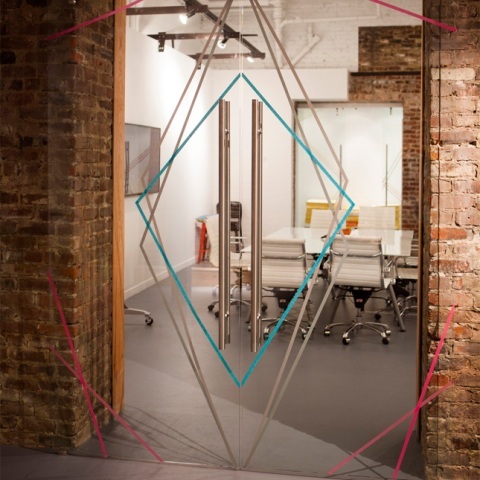 Below are some ideas on how you can update your doors. Washi tape DIY projects aren’t just for adults – kids can benefit too! 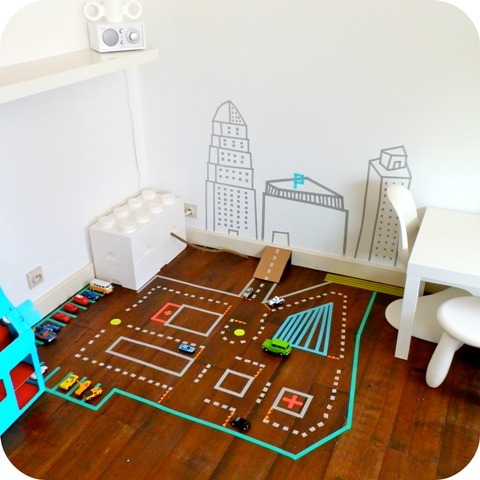 We love this tutorial on creating a mini car race track in your kid’s room. The best part? You can make a new track each week! Looking for a new way to make your pictures pop? Check out this tutorial on creating your own DIY washi tape picture frames. 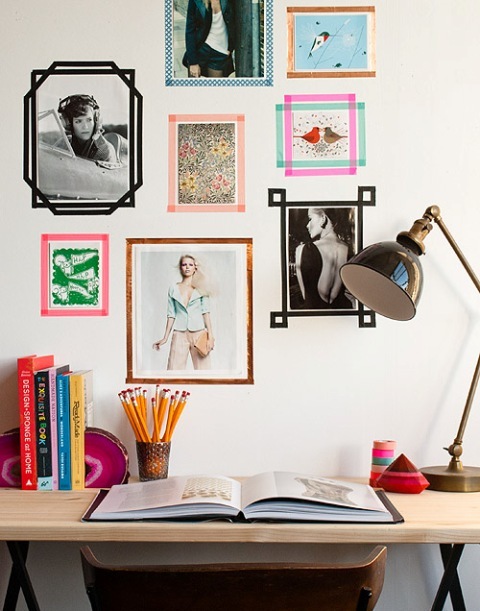 This isn’t simply pasting tape onto plain frames; this is about creating fun and bright frame designs around pictures on your wall. 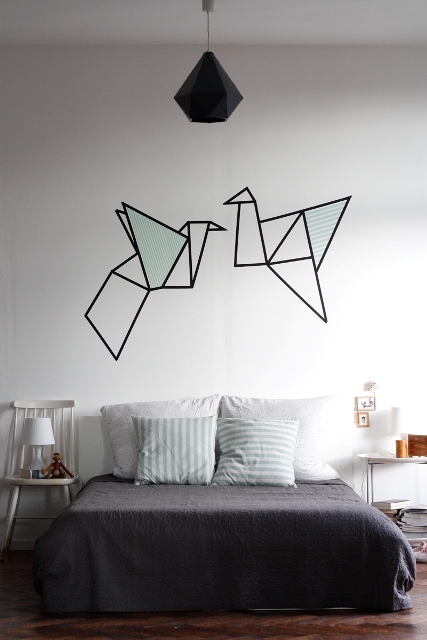 The geometric shapes you can create with washi tape adds elegance to your room. If you have a washi tape DIY tip you would like to share with us, please feel free to comment below.